The proselyte was viewed with special favor. Unlike the Israelites at Sinai the proselyte had come under the wings of the Divine Presence without the impetus of thunder and lightning. Conversionary activity, however, diminished as Christianity gained power and proscribed conversion to Judaism. Even so, there were notable conversions to Judaism in the medieval period. In the modern period with the advent of “Outreach” in the Reform Jewish community, there is renewed interest in presenting Judaism as an attractive option to those outside of Judaism who might be interested. Of course, it’s well-known that the Chabad have a very active and even aggressive outreach process, but this is usually directed at non-observant or minimally observant Jews. They aren’t actively trying to convert Gentiles to Judaism although, on occasion, they will encourage non-Jews to observe the seven Noahide Laws. I’ve been thinking about Messianic Judaism across multiple generations, especially as applied to non-Jewish members or adherents otherwise known as “Messianic Gentiles.” I’ve read a couple of blog posts over the past few days, both written by “Hebrew Roots Gentiles,” discussing the desire to pass their beliefs on to the next generation. This is really difficult to do. Even in modern Judaism and Christianity, there is no guarantee that your children will follow in your footsteps. 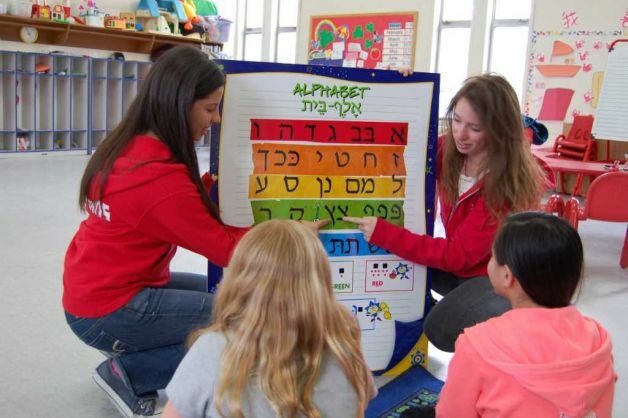 Sure, it’s more likely in Orthodox Judaism for your children to continue in an Orthodox lifestyle, but in Reform Judaism, it’s not such a big step from there to becoming completely secular and even assimilated. There are also plenty of Christians whose children leave the faith. It can be truly said that God has no grandchildren. We each negotiate our own relationship with our Creator, regardless of who our parents are or what they believe and practice. OK, that’s not exactly true for Jewish people. Even a secular and assimilated Jew is still a Jew. Jewish people are the only population to ever exist who are born into a covenant relationship with God, whether they want to be or not. I believe at the end of the age, each Jew who chose not to respond to the covenants will have to give an accounting to God. Yes, the rest of us will too will have to give an account, but it won’t be the same since no non-Jew is born automatically having a specific set of obligations to God based on a set of covenants made thousands of years ago. And in Messianic and Hebrew Roots communities, the problem is compounded. A few years back I attended the First Fruits of Zion Shavuot Conference at Beth Immanuel in Hudson, Wisconsin. There were a number of families there, both Jewish and Gentile, who were discussing matchmaking. That is, they were concerned about who their children were going to marry. This wasn’t idle chatter. Some of the younger generation present at the event were approaching or already at marriageable age. There were even suggestions being made as to which two young people to match up (much to the discomfort of the young people present who were being discussed). There are just tons and tons of Christian churches and Jewish synagogues of various denominations and branches available almost everywhere on Earth. A Christian desiring to marry a Christian companion might not have any more difficult a time at finding an appropriate mate than any given atheist. For Jews it is probably the same, given access to a sufficiently large Jewish population (here in Idaho, it would definitely be more of a chore). But what about Messianic Jews and Gentiles? At least in the U.S. and Canada, there aren’t that many communities to choose a proper companion from. Do you marry a Christian and call it good? Do you marry a (non-Messianic) Jew and give up your faith in Yeshua (Jesus)? I’ve known more than a few young adults, Jewish and Gentile, who are Messianic and who either took many years to finally find a good match or who are still waiting for him or her to come along. Messianic Judaism is a missionary religion but with a twist. It’s main focus is or should be to spread the good news of Messiah to other Jews. Where Jewish people and their families & friends can experience a Jewish service & community while believing Yeshua (Jesus) is Messiah. Gentiles are hardly excluded but the outreach and call to faith is definitely directed “to the Jew first,” so to speak. I think many “Messianic Gentiles” self-select our way of life. I’ve heard endless stories from people who used to go to church saying that what they were being taught from the pulpit just wasn’t satisfying and didn’t seem to match up with what the Bible actually says. I think we’re all attracted to a more Jewish interpretation of the scriptures for a variety of reasons. Many of us are intermarried with Jewish spouses and so are exposed to religious and cultural Judaism as a matter of course. And many “Hebrew Christians” have returned to the Torah by way of Messianic Judaism and brought their non-Jewish family members with them into the movement. But while children don’t have much say about which church or synagogue their parents take them to, as these young people grow into adulthood, they have plenty of say over their lives. I know in my own experience, as soon as I was old enough to tell my parents I wasn’t going to church anymore, I did, and I didn’t see the inside of a church as a worshiper for decades. My own children went through a series of religious “encounters” starting with church, then a Hebrew Roots group, and then the local Reform/Conservative shul. They all eventually exited out of Yeshua-belief and then just about anything that resembles Jewish observance. Except for some approach to keeping Biblically (but not halachically) kosher and ethnically identifying as Jewish, they have no relationship with God as Jews. I don’t doubt that Gentile and Jewish believers will continue to be drawn from their churches to Messianic Judaism and/or Hebrew Roots. Thus generation after generation of adults will enter these movements and learn something about some “Hebraic” method of interpreting scripture, gaining a more Jewish apprehension of the Messiah, the Gospel message, and the function of the New Covenant. But what about our children? Three rabbis were talking over regular Sunday morning breakfast get-together. Rabbi Ginsberg says, “Oy! We have such a problem with mice at our schul. The shammos set out all kinds of baited traps but them keep coming back. Do either of you learned men know how I can get rid of these vermin?”. The second rabbi, Rabbi Cohen replied, “We have the same problem at our synagogue, we’ve spent all kinds of gelt on exterminators but the problem still persists. Any suggestions?”. “Then one Shabbos after services were over a brilliant idea came into my mind. The next shabbos I went to the synagogue about and hour before services started. I brought big wheel of yellow cheese and placed in the center of the bima. Well, soon tens of mice appeared on the bima and headed for the cheese. While they were feasting on the cheese I Bar-mitzvahed all of them. I never saw them in Schul again! The reason that’s funny is because it’s tragically true. As much as you as parents try to teach your values to your children, someday, they have to make a decision as adults whether to make your values their values. Sometimes they decide “yes,” but they can also say “no” and choose their own path. The only way a person is truly drawn to God is by God. James, James…. you struck the pain point here like never befour. Marriage issues, very small number of young people, and in the end little efforts of being really a missionary in Messianic Judaism. I’m a parent myself and suffering it all with my children, and really over my sleepless nights and searching for solution, know very deep inside that true there is only Hashem that can pull them back. Yet I desperatly need something to at list teach them to know and understand who they are. So it saying “from generation to generation” but how? Like in our case its not only being Jewish messianic family but also no community around. Not even to say Jewish messianic community. Some times thinking is that what Hashem bring us to? I just bought a book, Good News About Prodigals, in which the author says that 85% of prodigals return to their faith. Very encouraging statistics. I hope your kids and my son come back. Soon, speedily, in our days. @Eli: I can only believe that God will bring the next generation to Himself and cause those who have drifted off to return. As I think I’ve said before, each person negotiates his or her relationship with God. @Michele: Those are pretty optimistic statistics. My brother was a Christian church-goer through high school but left the faith and, at as fifty, shows no signs of returning. Tradition! Tradition! The scriptures say that G-d knew Abraham would raise his children after him. It isn’t the ‘church’, schools, or entertainment to raise the children in the ‘nurture and admonition of the Lord’, but the home. Abraham was hospitable to all and through that witnessed and ‘won souls’. Israel is located in the center of the world. Through commerce and trade the Torah would go out to the nations. Today, the last command was ‘go ye out to all the world and make disciples. One day the Temple will be restored and Torah will go out from Zion to all the world. I am rambling, and I am sorry. You are right, we all have to make a choice. But I am learning, as you said in one of your last posts, to trust. I am a Messianic Gentile from a secular pagan family. I had no exposure to public worship or teachings except through friends and then minimally…a few sermons…a baptism, and then a lifetime of questions. In the end, G-d leads all of us to Him, and then offers Himself and His Mercy and Love. It may fall on barren ground, and take many sowings to get any growth…I myself had all four sowings described in the parable and more than 30 years of never quite making a commitment, and yet, once I had the idea of G-d in my mind, it never let go, even when I fought it, and was as rebellious as anyone can be, and indeed, am still am, though at least I try to meet with G-d, and let Him change me. 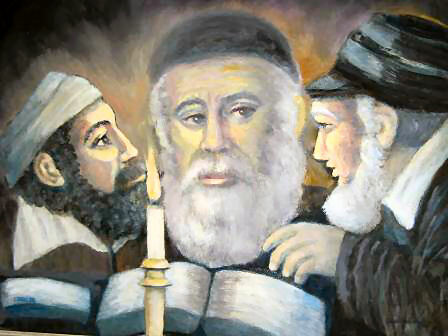 If you have given the any exposure to your children about G-d, whether in Church or Synagogue, or at home, and provide some model for your children, or for other peoples children, Abba will work with it, and indeed, He is most persuasive, choosing His moments to connect with those whose hearts are at least not closed to Him, who have an idea of G-d actually being, and working in the lives of others they can see, even if they do not understand as yet. For all of us, someone must sow the seed, and others water it, and then allow the Ruach haKodesh, the elements, time and circumstance to work their way in each life. Abba will not waste any effort you make, and will not give up on anyone until they have taken their last breath, and in His mercy, perhaps not even then. Well said, Questor. This is why I keep coming back to this blog. The Meditation and the comments provide soul food. If the parent does the mitzvah’s of G-d in such a ritualistic manner (much like catholicism or other christian sects [i:e: boring, superficial, no joy or passion), couple this with a lack of authentic community (if little john doe sees value in Shabbat but then their peers around them do not) then more often the child will be less intrigued about HaShem, His Torah and the alike (Judaism) …. If the parent actually shows joy (not the charismatic christian joy) but the joy and passion of Torah as what is recorded how it was after Chanukah. That passion and joy which will ignite a small flame in those around them, in addition to the child being properly taught why we observe what we observe then the child will view the Mitzvah’s of G-d as a necessary function of life which is what authentic Judaism is. Love of G-d and Love of fellow jew (in this case gentile observer). If everyone in leadership or in adulthood is walking around searching for this lost identity, then naturally the children will be the same (this is common in most cultures with identity crises, not just Messianic Jew/Gentile groups…. Groups like Chabad attract others Jews through there authentic love and passion for jews …. Not to mention they have a strong community and the know how of operationalized the mitzvah’s of G-d, something Christians lack. Why do you think MJ/HC (Hebrew Christians) struggle with this concept? Judaism does to a slight degree (but not to the level as expressed in this blog) Judaism adapts and adjust to what the next generation is engage with (i.e: Chanukah Hip-Hop dancing in public while doing a lighting ceremony) 60 years ago, this would be un-heard of, but its not 60 years ago its 60 years later and if this stays within the bounds of halacha but was just never thought of before then why not have fun with it! This is why I keep coming back to this blog. The Meditation and the comments provide soul food. Thank you for the sincere complement, Cynthia. Why do you think MJ/HC (Hebrew Christians) struggle with this concept? Because of the small number of authentic Messianic Jewish communities plus their generally small size. Those few congregations that are fairly large are few and far apart. Most Messianic Jews and Gentiles don’t have the resources of a large community for youth groups and other specialized schools, plus, as I said before, when it comes time for Messianic young adults to seek out a mate, anyone appropriate may live hundreds or even thousands of miles away if such a person can be located at all. @Everyone: Two thoughts have been presented in these comments and I agree with both: that the home is the primary source of religious education for children and that God brings people to Himself and preserves them. That said, people still have free will and I know that both in Christianity and Judaism, there is concern that the population of the next generation is dwindling. How much more so should we be concerned in Messianic community? Established clear published guidelines on who is considered Jewish and who is not. One suggested guideline, which is admittedly more flexible than that of Orthodox Judaism, is to use Israel’s Law of Return guideline – meaning, to at least have one provable, DOCUMENTED Jewish grandparent (not a great-grandparent or other even more distant “relative”). Educate congregants about the various false identity theories. Lift up achievements of other nationalities and encourage people to take pride in their own heritage. Discourage Gentile believers from self-identifying as Jews or “Jewish” either in congregations or in public. This includes taking on of Hebrew names without going through proper conversion and circumcision first. Also lose this notion that the church is relevant in the circles of Messianic Judaism (MJ) the christian church isn’t relevant to the MJ movement. If MJ wants to be a Judaism then clinging to the past of the church needs to be let go (especially gentiles: Drop the sad “the church is pagan” “the church did this to me or that” …. If people mainly gentiles want a church way of doing things then they should go return to church and settle any hurt they have amongst there leadership. Orthodox Judaism doesn’t consider the reform or conservative branches to be authentic, so why should MJ consider Hebrew Roots or whatever christian flavor they want to call themselves to be authentic? Next Torah & Yeshua’s words and the education and judaic understanding of them should be the focus of MJ before jumping into Pauls writings [Mainly though Torah Observance should be the main focus of the Movement]. The Talmud and Mishnah are our resources in understanding both Yeshua and how to Operationalize the mitzvah’s…. Jewish people should be encouraged and outright required to know hebrew (this connects them closer to their identity). FFOZ is setting on an “endeavor” of committing to teaching Christians the Sabbath and G-ds feast, in theory it makes sense, since they will be getting christians where their at instead of in synagogues which will stop the “Gentile majority found in Shuls” crisis. That’s a good start in helping what needs to be solved in MJ. You have a influential blog here, the “big” players of the MJ movement view your page [FFOZ, Dauerman, Kinbar, etc…] and despite your coy behavior your well connected to the people who can really help shape this movement into something authentic, you could have a bigger role if you choose. I’m not sure I follow what you’re saying BG. How do your comments address how I understand the issue of encouraging the next generation to stay with Messianic Judaism and what do the people who may or may not be reading my blog posts have anything to do with it? Am I missing something? OK. Sorry, I didn’t see how you were applying your previous comment. The questions you raise, the issues you’ve addressed, and the heart of this topic are very near and dear to my family. Of our 5 children, all of marriageable age, 3 have left MJ and of the remaining two only one appears to be steadily heading toward MJ, the other is starting to follow the way his other siblings as I watch their observance slowly fade. While I am constantly reminded of my own walk and the process of “the making of the man”, it’s hard not to fret about where they may end up. Like another commenter stated, I have to leave it in the capable hands of HaShem and ask myself if we taught them the best we could, if we’ve modeled the best we knew to, and to let them walk those hard roads as we pray diligently for them. Parents never stop guiding and encouraging, even if our leading is more from a distance. Where my children will find their spouses is a continual nagging question, for the past decade. For 3 of them, at this point, they will have a wider sea to draw from. For the other 2, it’s a very small pond and finding suitable mates with compatible dreams/goals/interests seems like – well something only HaShem could bring about. Our 2 children feel very hopeless at times, willing to compromise at times, and at other times their faith is strengthened somehow. Moving to a healthy and established community has been on our radar for several years now and because we’re bound to our current area beyond our control, we’ve been encouraging our children to move away from us and venture out on their own to the one of a handful of communities of their choice. As for the 3 who have walked away, all of them opted to walk away from any faith at all for a very long time. But as one began to return, the other two began to soften. They’re still young. But for these three, growing up as the only MJ family they’d known of until they were a much older probably helped push them away from it, as well as the ugliness of some of what falls under the “Messianic” umbrella. Again, thank you for bringing this topic up. Lisa, your candid comments about your family crystalize what I am trying to communicate here. Thank you for being willing to share and may the God of Israel watch over your children and bring them closer to Him. A critical issue is what Rabbi David Rudolph at Tikvat Israel has been calling a shared understanding. I think this is *critical* in the MJ world. There is so much diversity, so many crazy things that fall under the “messianic” umbrella that we really need to begin to pull in and develop a common set of understandings. For our children to choose to walk this road it will be very important that we have healthy communities and positive relationships among ourselves, so they have a good foundation on which to build. I’m really looking forward to the sermon series his teaching team will be presenting this year as their community lays the foundation for a shared understanding. But this is part of MY journey, the children are not listening to the podcasts with me and right now none of them have even the smallest desire to do so. What they need are people in real life. These discussions need to be taking place in person, they need role models to observe, teachers to watch and talk to, people other than *just their parents*. FFOZ has a CD of a lecture called “Generation to Generation” that addresses some issues that are important to this discussion as well. One of the key issues that my kids appreciated was that they didn’t grow up like we did, they don’t have to do all the unlearning and re-learning that we’ve had to. They are tired of the discussions of the differences between “Us and Them”. They’re starving for instruction and encouragement in who they are and what they should be learning – and forget all the un-learning stuff because it causes them to be frustrated with the people they work with, go to school with, play sports with, etc. It’s hard to love others when all you focus on is our differences. Let’s focus on what we have in common and HUMBLY LOVE one another. MJ can be very beautiful and enticing – but unfortunately man of our children haven’t seen enough of this. This isn’t really the answer to this crisis but David Rudolph also maintains a website called Messianic Gentiles to serve our unique population. It’s mainly a list of links to articles on various topics created by a number of sources including FFOZ and (little ol’) me. Like I said, it doesn’t address the face-to-face part of what you say Lisa, but it could be expanded (if David has the desire and the time) to include a way for Messianic Gentiles in different parts of the U.S., Canada, and every place else, to connect with one another and share their experiences. As far as people other than the parents reaching out to the next generation of Messianics, that depends on availability and as you know, we’re few and scattered. James… (and Lisa) thank yo very much for rising this topic. I’m watching this post and comments very closely, just becouse its so close to my family and my heart as well. And also despite of misunderstanding by some commenters this two issues – Generation to Generation and mariage in the Messian ic Judaism become over few years very real and painful. As Lisa pointed very rigthly parents even the best is not all what needed, but all it comes to the strong community around with every aspects what constitute community. I have 3 children growing up despite growing in Jewish home, they not only have little interest to who we are and what we do, (and this is so descurraging and painful) but there is this marriage partners question as well. So far there for us no solutions. And fo us being Jewish it even worse because just messianic Gentile partners is not the option. Living in Australia all that even much worse. We have some messianics around but of the kind I don’t want even to think about. Our small Jewish community know all about me so this is not the option as well. (I managing only come twice a year for supplyes and during the day that not many people can find me). So we have very little or non face to face option. Sure we living only by our hope and trust to Hashem in His mercy to made this way for us according to his will, and also then I see only one other option is a talk and support/contacts network for assisting believers in Messianic Judaism in any way not only in theological ways or teachings but as well as with this “face to face” issues and marriage as well. As Lisa saying very rightly: “What they need are people in real life. These discussions need to be taking place in person, they need role models to observe, teachers to watch and talk to, people other than *just their parents*.” Very very so, and then community existence is critical…. well where is it? We trying for many years and mostly unsuccessful. Personally I’m willing to talk to anyone including Messianic Gentiles or Messianic Jews from Mars and other universes, but just to have some results. Living in Australia we have few but non. So what’s ahead? I wish my children will listen to some podcasts???? Smile. Oh where is my main comment gone?